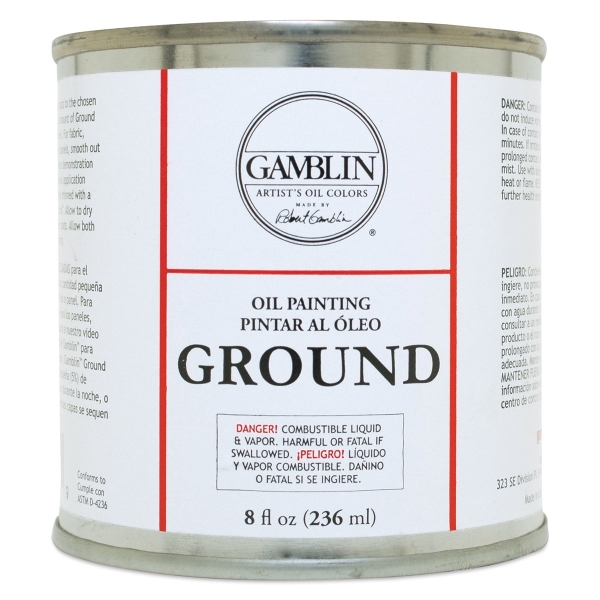 Gamblin Oil Painting Ground is the top choice for a new generation of painters looking for a convenient, non-toxic alternative to traditional lead oil grounds. 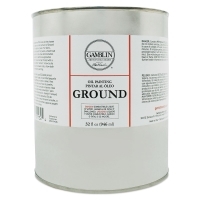 Like all Gamblin products, it has been formulated to exhibit true historic working properties, yet is safer and more permanent. 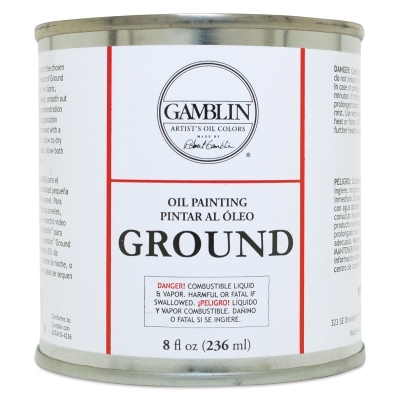 The binder in Gamblin Oil Painting Ground makes it more flexible and faster-drying than lead/linseed oil grounds, which must dry for six months. Gamblin Oil Ground is ready for painting within a week. And because the percentage of pigments is so much higher than in acrylic gessos, painters only need to apply two coats of Gamblin Oil Ground instead of the recommended four coats of an acrylic gesso. 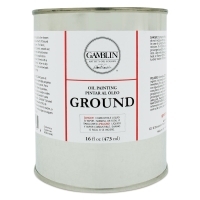 Cotton or linen canvas primed with Gamblin Oil Painting Ground will be stiffer than canvas primed with an acrylic gesso, yet more flexible than a canvas prepared with a traditional oil primer. 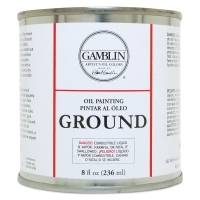 Gamblin Oil Painting Ground is made in the USA, at the company's wind-powered factory in Portland, Oregon.